If you purchase, sooner or later, you will get a bill which must be paid. This is something that every business must do. At LPS, our core business is placing orders for our clients. We are constantly focused on reducing our costs through process efficiency. In this installment, we will be analyzing how we have optimized the purchasing process with the goal of lowering cost and increasing accuracy. The procurement process sounds really simple. Give an order to the vendor, receive the merchandise and pay the bill. -Paying with a P-Card (credit card) instead of cutting a check. 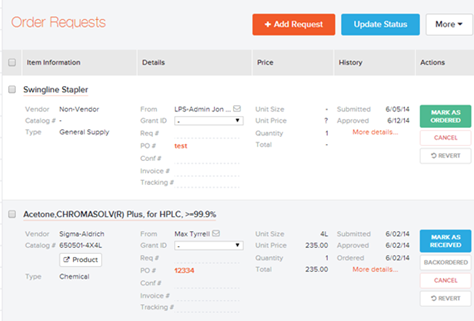 -Transmitting your order and/or receiving your invoice via EDI. 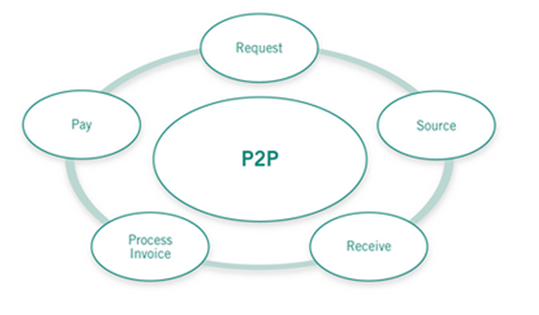 Figure 1: The Procure-to-Pay cycle diagram. The reality is that this is a complicated, complex process for which there are significant – but variable – costs associated. These are referred to as "soft costs" as opposed to the cost of the merchandise being purchase which we call "hard costs." FACT: The average size of the P.O. issued by laboratories in the U.S. is $214.00. FACT: The average soft cost to process a P.O. ranges from $75 to $125. FACT: A "problem" order can be as much as 5 to 10X the cost of a problem-free (routine) order. SMALL LAB: $50,000 per year spend / $214 = 234 P.O. 's per year = $17,550 to $29,250 in soft costs. MIDSIZE LAB: $250,000 per year spend / $214 = 1,168 P.O. 's per year = $87,600 to $146,000 in soft costs. So the point of this exercise is that IT IS WELL WORTH THE EFFORT! But can it be done? Requisition Transmission – This must be done in writing. Stating exactly and clearly what the lab wants is vital. Suggested sources will help guide the procurement person during sourcing. Sourcing is and should remain the responsibility of procurement if cost control is important to the organization. Purchase Order Transmission – Costs here relate to the amount of time a human interacts with the purchasing and/or accounting system to create and transmit the P.O. to the vendor. What may not be readily apparent is that the actual format of a purchase order could lead to vendor errors or discrepancies later on in the process. The Order Confirmation – This document is often the key to and is, perhaps the most often ignored part of the process. 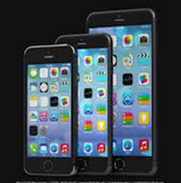 It can greatly reduce your order costs. How? By spotting backordered items before the end user runs out and needs to have an alternate shipped at costly overnight air shipping rates. By spotting shipping errors before they occur. A common error is specifying FedEx or UPS and failing to state on the P.O. that it is a GROUND shipment. By spotting tax or freight billings that are out of line. Order confirmations come at the convenience of the vendor. Some send them right away, some take a while and some vendors don't send them at all. This makes it difficult to weave their review into a P2P system or into your own time schedule. But stopping errors before they happen saves time and money. The Shipment - Your merchandise arrives at the dock. What happens next? Is the merchandise inspected for external damage before the bill-of-lading is signed? Are pallets and boxes being promptly inspected for concealed damage? (There is a 2-week window to file a freight claim and freight claims are, by law, your responsibility to file.) Is the packing slip being removed and compared to the order? Is this a complete shipment or a partial shipment? Is it O.K. from the receiving dock point of view to pay for the merchandise? And last, but far from least, is the item what the end user needs or does it need to be returned or replaced? The Freight Bill – Some customers prefer to pay for the shipping costs rather than to use the vendor's method of shipment. In many cases, this may be favorable as most vendors negotiate good freight rates then markup the freight to published list prices (or higher.) Some vendors offer "free" freight which, of course, they build into the price of the item. This sometimes happens even if you are charging the freight to your account. A close inspection of the invoice is the only way to spot these overcharges. To account for the freight per P.O., the freight bill will need to matched to the P.O. This is a task that is incredibly tedious if not automated. Many people prefer to pay the marked up pre-pay and add shipping and "handling" fees feeling that the costs outweigh the savings. "Free freight" is valued far more highly than it should be as a result. No freight is, of course, free. Be aware that many vendors, who offer "free" freight, add a fuel surcharge, handling charge and/or a hazmat charge. Often these fees are in excess of the cost of freight shipped on your own UPS or FedEx account because there is a markup in each. To Pay or Not to Pay – Once all of these steps have taken place and you have received the bill from the vendor (and optionally the freight bill,) the invoice needs to be approved and the and the payment schedule the payment to occur on or before the due date. Optionally, if the vendor offers early payment terms, you will need to take this into account. There is always the option of paying the bill "short" if the invoice is in dispute. How to Pay – You can charge to a credit (sometimes called a P-Card,) do online bill payment, or cut a paper check. The potential expense is in mis-application of the cash. If detailed instructions are not provided to the vendor (most commonly the invoice number this payment applies to) the cash will be posted "on account." The bill will go as unpaid and sooner or later, calls from the vendor. Also, vendors require written instructions on how to apply credit memos. More often than not, credit memos are never applied to the original invoice resulting in more phone calls, letters and e-mails and thus, expense. "No wonder a P.O. costs $75!" But what can be done about it? Let's start by identifying the top-10 sources errors. An order was placed for item "X" but item "Y" was received. An order was placed for item "X" but when it arrived, it was determined to be "not what we wanted." The payment was not properly presented to the vendor and therefore not posted correctly. Out-of-box failure or damage in shipment. Improper use of early payment discount. Human error. Picking errors, packing errors, etc. etc. Where Possible Eliminate Paper and Manual Transcription. Being "paperless" with documents in PDF, Excel or Word rather than on paper, is a good first step. But don't hoist the "Mission Accomplished Banner" yet! Figure 2: Transcription errors can occur at many points in the P2P cycle. Rush/Emergency orders are unavoidable. But the saying found on many a procurement wall shown above is very applicable here. It is incumbent on the person ordering the product to take responsibility for specifying exactly what they want and how they want it shipped. And it is the procurement department's responsibility to get the product when required but to do so within established protocols. This, means taking the time to inform the person with the emergency how much it will cost over and above a regular shipment and to let them to re-evaluate if this emergency warrants the additional cost. None of this can be achieved when the need is simply communicated via a phone call. A key element in any Procure to Pay system is the ability to trace errors and a phone call simply leaves no trace unless you are recording every phone call "for quality and education and training purposes" of course. Paper documents don't travel at the speed of light like an e-mail does. And of course, if you are environmentally conscious, and turn your nose up at the suggestion of using a paper document; we commend you for that! Paper does accomplish two things. First, something scribbled on paper IS documentation and as long as the person's name and a date is included, and is all that procurement needs to get an emergency order ball rolling. Don't forget the ancient fax machine. They are still around and almost everyone has the capability to either fax or scan and avoid snail mail. There is no excuse for an end user to not document their requirements as long as there is a paper and pencil around. As a procurement professional – insist on written documentation even in an emergency. Failure to do so will end up in a never ending blame game when things go wrong. It's the perfect time to remind the reader that the phone they have in their pocket has a "scanner" built in. It's called the camera. It takes pictures of documents as well as damaged goods, stuff that you want to order and much more than "selfies" or pictures of your pet(s). In our experience, this is the most common inventory tracking tool in use today. There are an infinite number of variations of spreadsheets people have designed for this task. Often, these spreadsheets serve as or create requisitions sent to procurement. 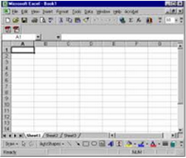 Aside from the fact that Excel spreadsheets don't typically work and play well with mobile devices compared with web apps (a big limitation if you take inventory regularly) and generally require a PC, Excel spreadsheets are great for this task. 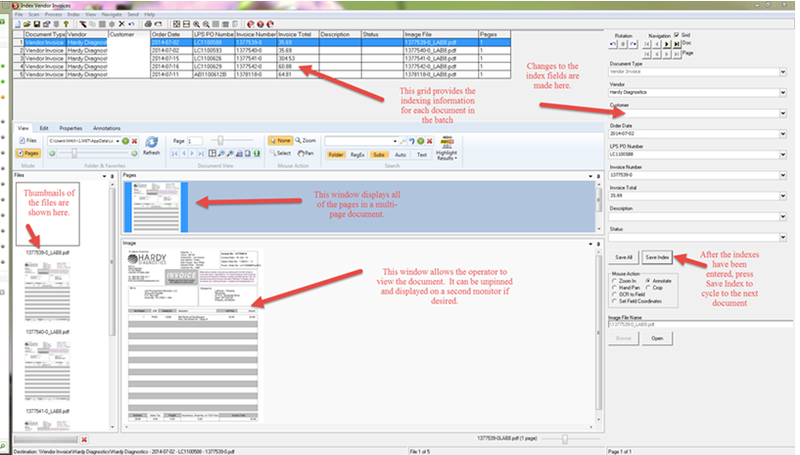 Although the information is captured electronically, few people ever go to the next step of using the Excel document to transfer the requisition into the ordering system. Even though most ordering systems out there support .CSV file formats or even documents in native Excel format, it is not used. (Quartzy.com does.) Why? The larger an organization gets, the bigger the rift seems to grow between the lab and procurement. The lab knows what they need better than procurement does. And procurement is all about compliance and standardization – an anathema to many lab managers who want what they want when they want it and from whom they want to get it. Does this sound familiar? This struggle spills over into the world of supply management. Procurement never has a system that is optimal for lab ordering. Lab people well versed in Excel often design their own independent system. The end product is something that won't "talk" to the procurement system. Who is going to get into the middle of this? IT will need a charge code to do the work. Whose charge code will be used? I'm sure this isn't new information for anyone who has been in procurement for more than a few months. In small organizations, senior managers / owners are involved in every aspect of the business and this is much less of an issue to resolve. But it frequently IS an issue, nonetheless. Our advice here is to use whatever resources necessary to make the requisition up-loadable into your purchasing system. Manual transcription here is both expensive when it occurs and plays havoc with the overall process akin to throwing a monkey wrench into the gears. LPS has skills and expertise to assist here. If this is an issue for you and you need help, please contact us. Application based vs. web based. PC based vs. mobile device. Vendor specific web ordering sites. Figure 3: The Quartzy.com order entry screen. A discussion of all of the pros and cons of these type systems won't be undertaken here. We believe that this is by far the most efficient and therefore the best way to reduce the cost per purchase order. However some are far better than others depending on the organizations goals. Contract compliance – reduction of "maverick" spend. Larger organizations utilize online ordering systems to offer end users a choice of products from contracted vendors. The goal here is to keep people from shopping from non-contract vendors (which is never 100% effective.) Often there are rebates tied to contract growth goals that procurement is trying to achieve. >While the number of vendors is restricted, the number of product choices within that vendors portfolio is not. This often leads to the "I need one of those!" And why not? It's from an approved vendor, right? >"shopping lists" which very few customers take the time to learn how to use. >And multiple vendors with a common user interface is desired, you are now looking at some serious sticker shock if you are thinking SciQuest, Ariba or Perfect Commerce type platforms. >Finally, none of these systems is particularly good at providing accurate and complete spend data, even though this is advertised as a key feature. What if every computer system you used – requisition, procurement, accounting, resource planning, HR, all of them – were perfectly integrated with each other? This is probably an SAP tag line. The problems is, that unless you are really, REALLY big and have a multi-million dollar annual bottom line revenue stream, with a fully staffed IT department and a money to consultants for implementation assistance, this isn't going to happen. Most simply can't afford it. Nor can most afford to take the chance to put their organizations on "hold" for months while SAP is being implemented. Nearly every system in use today has an import and export function built in. Getting systems to "talk" to one another will likely require the help of an IT person or a consultant. They are worth every penny. revenue stream. If you are still stuck with one of these dinosaurs, you need to upgrade or replace that system entirely. Budget for the upgrade now. Look for the "low hanging fruit." If you are doing inventory in Excel and your procurement system has a .CSV upload capability, this could be something you can do on your own at virtually no cost! Don't be afraid, try it! Keep in mind that IT consultants today often work completely remotely. They remote into your computer, show you how to do what you need done and log off. No fuss, no muss, and very little expense! Don't try to automate everything. We all envision systems integration as a 100% background task. We do nothing and the computer does everything. Like most automation tasks, getting 90% of the way there is easy, it's finding out how to do that last 10% of the job that is so complex and expensive. So if someone suggests that you can cheaply and easily get one system to talk to the other but you might have to press a button or do a copy/paste, go for it. Don't hold out for 100%! The requisition step should be automated above all else. Ideally it should be web based and mobile device friendly. It should also have an export function that is compatible with your procurement software. The requisition step should not be vendor specific – it should be a single user interface across any number of vendors. If for no other reason than to reduce the number of logins and passwords! The requisition process should allow for an easy and convenient way for the users to order non-contract, never-ordered-before items online easily and without going outside the system. Unless there is a highly compelling reason to do so, don't waste your money on commercial web integration platforms. Only very large organizations can justify such an expense. And we are talking big $$ here. Vendor ordering platforms such as VWR and Fisher web sites are free and in many cases offer no charge systems integration (e.g., EDI ordering.) If you are under contract with them and your goal is contract compliance, then take advantage of their free integration services and don't waste your money on a SciQuest type platforms. If you are an SAP shop, you may still wish to consider this option as you are fully aware that any SAP option you haven't already purchased will cost the equivalent of a small island in the Caribbean. The Quartzy.com platform utilized at LPS is a nearly perfect, no charge solution for many organizations. Whatever platform you choose, make quick, exportable, easy-to-use metrics a "non-negotiable." You MUST know what you buy, and what you spend and be able to slice and dice this data any way you want in YOUR software. Insist upon it! >The purchase order to one or multiple vendors. >Any correspondence with the vendor regarding the order. >The check issued to the vendor or the credit card reconciliation statement. Who really needs all of this information? The Lab Manager whose budget this transaction will be charged to. The person dealing with the vendor or doing order follow up. The person checking the transaction. Did we get what we ordered? Did we pay what we were supposed to pay? Is it approved to pay or should it be disputed? The person cutting the checks. Auditors, QC and compliance teams. LPS takes pride that w are on top of our clients orders at all times. Our business is in finding low cost providers which means that we will not be doing what most customers practice: vendor consolidation. To get the lowest price for our clients, we do what our clients can't – place P.O. 's with low cost providers on their behalf providing the ultimate in vendor consolidation for our clients. 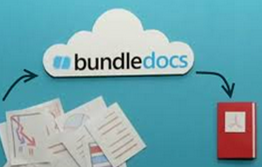 Getting documents into the system is a simple matter of saving the document to the appropriate folder. If it is saved to the wrong folder, it can easily be moved later. The list of folders shown above is not fixed. Any new document type can be added as required. While PDF is the standard format for most documents, the system will support most all document types including Excel, Word and most MS Office formats. If the document originates in paper, a "Scan" button will place the document into the correct input folder automatically with no file naming required. We simply print emails to PDF and save to the appropriate folder. The same goes for Purchase Orders sent to vendors and invoices sent to clients. We print to PDF to store a record of the exact copy we have sent to vendors rather than rely on the purchasing system which allows changes. What is "indexing"? Think of it is finding where you would put a new book into a library. What type of book is it? What's the title? Who is the author? What is the subject? And finally, what is the Dewey decimal system number you want to assign? All of these are indexes that point to where you can find the book when you want to read it. The same process applies to any document entering the system. Different document types will have different types and numbers of index criteria. The system uses OCR to read the information off the document and automatically index as much of the document as possible to reduce or eliminate the need for human intervention beyond a QC check. The .SIC file above is used to "program" SimpleIndex for each type document. A screen shot of the indexing screen is shown in Figure 4 below. What is not apparent from this screen is that SimpleIndex retrieves most (or in some cases all) of the index data through database queries. 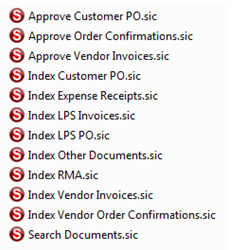 For example, if the document only shows the purchase order number issued to the vendor and you use an order reference number internally, SimpleIndex will poll your internal database and lookup that information and apply it automatically! This is a huge time saver not to mention the elimination of potential typing errors. It takes just minutes to index even a large batch of documents. Figure 4: The SimpleIndex Indexing Screen. Once the documents have been indexed, they can be retrieved by selecting the index field and pressing the Run Job button. Viewing is done in a screen that looks nearly identical to the indexing shown in Figure 4. Figure 5: The SimpleIndex Search Documents Screen. Customer Account Numbers – An example would be PT1. The PT is an abbreviation and the number is used to indicate multiple divisions within the same company. We use the customer account number as a prefix for all of our internal documents allowing us to easily identify which document pertains to which customer. For example, an order reference for customer PT1 would be PT1100403. Our order cycle from 1 to 999,999. Vendor PO's Since a single customer purchase order may be split into any number of vendors, we assign a single prefix for each customer P.O. and an alpha suffix that is different for each vendor. For example, if our example customer issued a P.O. that is going to three different vendors the P.O. 's we issue to the three vendors would be: PT1100001, PT1100001A and PT1100001B. This allows us to do a SimpleIndex search on PT1100001 and retrieve the entire grouping of P.O. 's for this order regardless of vendor. Or, we can search only for that vendor if preferred. Order Reference Number Is the same as Sales order number for us. This number is the same, PT1100001. Invoice Number The invoice number to the client for this order would be PT1100001 if the invoice isn't split. This might be done in the case of where some of the items had short lead times and some had very long lead times. In that case, the second invoice would be PT1100001A. Other Correspondence This would include emails, order confirmations etc. All would be indexed to PT1100001 if they pertain to that order or to PT1100001A if they pertain to the vendor who was sent this P.O. This system has increased our order processing efficiency dramatically. What used to take hours now takes minutes. Our customer service has been greatly enhanced by having all of this data immediately available. This system will be released to the market in the near future. It is a very affordable, very adaptable solution that every procurement / accounting team should have regardless of what commodity they purchase. At LPS, we have reduced our cost per purchase order from $75 to well under $10 (an 87% reduction.) By outsourcing this process to LPS, many of our clients have reduced their soft costs by over 90% and their hard costs by a minimum of 14% utilizing the LPS methodology. Whether or not you choose to utilize LPS to handle your routine procurement tasks, you can achieve dramatic "soft" cost reductions by utilizing the tools and process described in this document. To learn more, please contact us using the contact form on our web site:www.labproservices.com or by calling us at +1 (865) 622-5320.